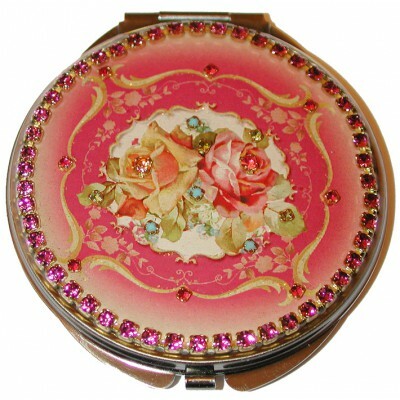 Michal Negrin compact mirror with a Victorian Roses pattern and sparkling Swarovski crystals. Inside there is one regular mirror and one magnifying mirror. 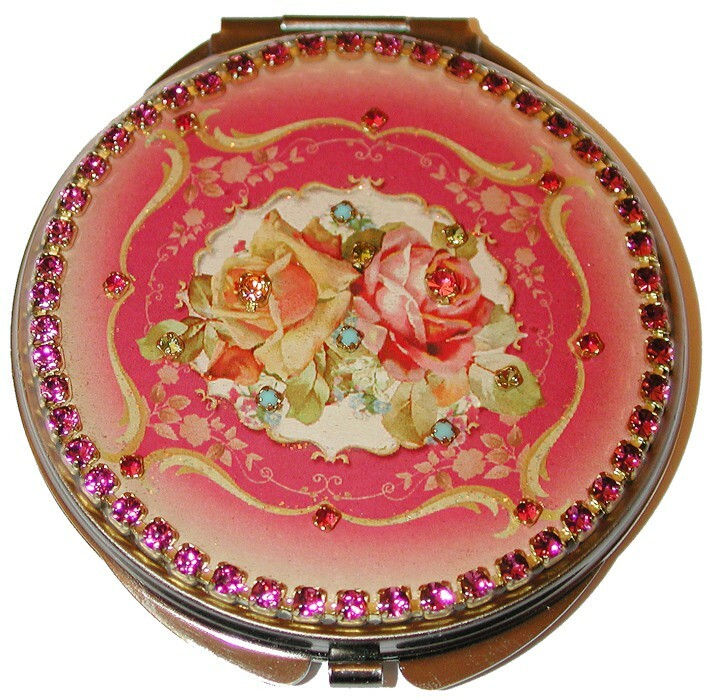 Measures 2 1/2 inches in diameter.